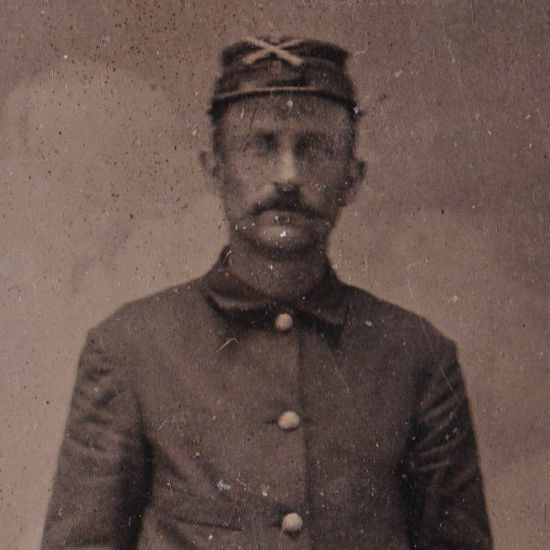 Here's a mystery photo of one of my 19th century relatives. The photograph is on a thin metal plate that measures 2⅜ inches by 3½ inches. It is not labeled. Mom is pretty sure it's either my great-great-grandfather or great-great-great-grandfather. 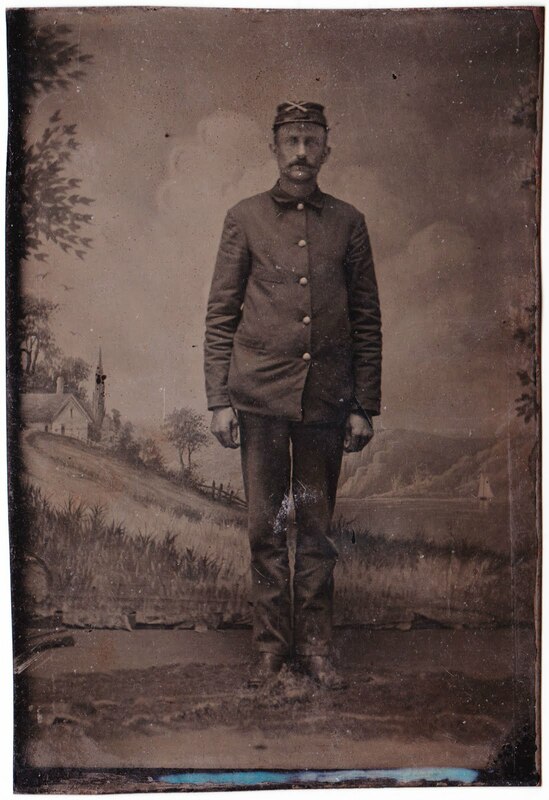 The interesting aspects, especially now that we can magnify the image, include the fake backdrop and the man's uniform. What do you think of this fine-looking fella? Share your thoughts in the comments section below.